So you have been making thoughtful efforts at enhancing your ecommerce store conversion rate. You are flowing money on getting that all-important traffic, are trying to beat Google at cracking its ever-changing search algorithm and are eagerly checking your traffic sources, lest they dry up. But if we look at the end objective of these exercises, there’s an artless and less distressing way to accomplish that – increasing your Average Order Value. Sometimes, customers are so engrossed on purchasing one of your products that they neglect to browse around to find more. This leads to smaller carts, and as an outcome, smaller average order values. To help solve this problem, try adding product recommendations to your product or checkout page. By profiling popular products, or products that other customers purchased in addition to what’s currently in the user’s cart, you can not only minimize friction before checkout, but also increase average order values. Much like the previous strategy, this tip involves adding product suggestions to your product page. In this case, instead of simply suggesting other popular items from your store, try hand-picking products that pair well with the item in the user’s cart, such as accessories or add-ons. For example, a mouse for a laptop, or batteries for a remote control. Increasing your average order value can also be accomplished by providing an incentive when customers spend a minimum amount on your ecommerce store. Consider setting a minimum order amount for free shipping - it’s really easy to do within Shopify and very effective at raising average order values. If your ecommerce store sells consumable products (something customers need to re-purchase, like razors or shaving cream), consider setting up a rewards or loyalty program. Loyalty programs act as a retention strategy and help forge relationships between customers and a brand, as well as helping you increase the average order value of your ecommerce store. If you want consumers to checkout with more products, try creating product bundles that cost less than if the same items were purchased individually. By bundling products, you're effectively increasing the perceived transaction value. This is the satisfaction customers get from taking advantage of a deal, this can help increase sales. Now it’s your turn. 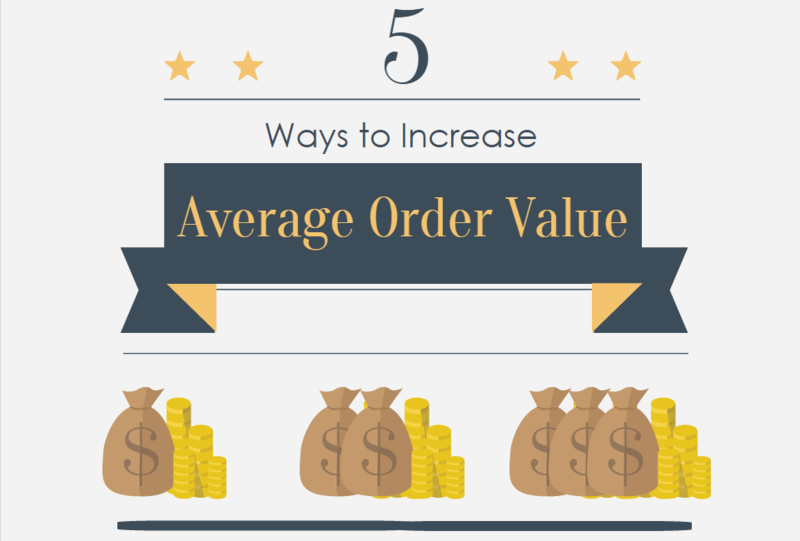 You only need to implement one of these strategies to start noticing an increase in the average order value of your ecommerce store.